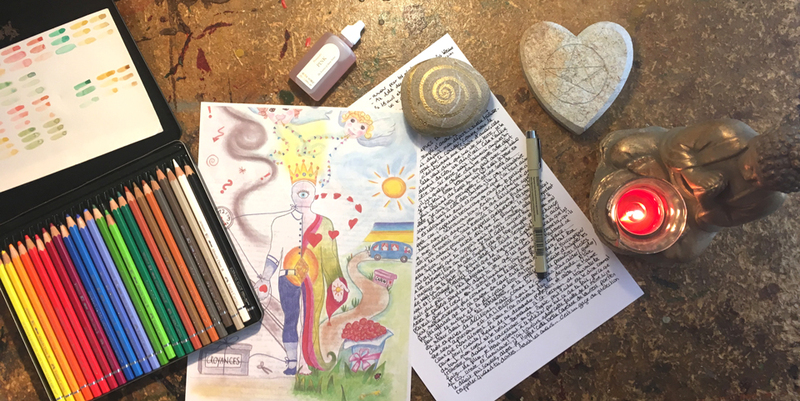 A Soul Reading can give you information about yourself and your current life path through a written message from your guides and a drawing with symbols channeled through meditation. A Soul Reading also allows you to perceive a future projection to determine what awaits you and how to prepare for it. By looking into the future with the determinants that are previsible, you will know whether they suit you or not. It will always be time to change, to improve certain spheres to achieve your goals and experience what is best for you. to become your own guide. …and does this situation come from a past life that transferred you a particular heritage? The appointment itself, will take place only once your Soul Reading is ready, it lasts about 1 hour. To prepare your Soul Reading, I need your date of birth as well as the name and the first name (s) received at your birth. Once this information is received, I do a meditation and connect to your guides. They deliver me your message with answers to your specific questions … or not, because we can not be sure that’s what will come out. Your questions are my intentions when I connect with your guide. You will get answers, even if they are hidden, as well asmany information in your personal drawing. Your drawing is an healing tool that will work and heal your energetic field for at least 6 months after the reading. I make an appointment with my Guide!